This is our first time going for a 2nd look for a place up in New Hampshire. Back in June we saw that Windham, NH was down a lot that month with prices slipping about 13% by the averages and just under 20% by the medians. Let’s see where it stands in the fall. The Windham, NH market has fallen off significantly since last year. Both of the average prices were down. The median prices were down as well. The days on market appear to be up significantly as well. Inventory was up a lot with 16 sales in October of 2014 and 25 in October 2015. To start off first we are going to look at the average listing price. 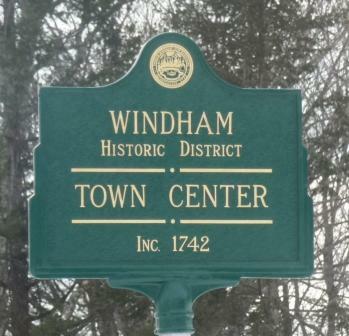 For Windham, NH the average listing price in October 2014 was $512,136. This was down to $423,680 in October 2015. This gives a very significant decrease of 17.27% year over year. Checking out the median prices as well, we see that they are quite a bit different than the averages in both years, but not in the same directions. For October of 2014 the median listing price in Windham, NH was $582,000 and in October 2015 it was $399,900 giving a much larger decrease of 31.29%. Next up we will be looking at is the average sale prices. The average sale price in Windham, NH in October of 2014 was $509,604 and in October 2015 that was down to $413,667. That gives a slightly smaller decrease of 18.83%, compared to the average listing price. We see the same basic pattern with the median sale prices as we did for the listing prices. For October of 2014 the median sales price for Windham, NH was $570,000 and in October 2015 it was $384,000 giving another significantly larger decrease of 32.63%, which is the highest of the 4 items examined here. There is no arguing that the Windham, NH real estate market is down a lot this month from last year. All the indicators say prices are down from close to 20% to over 30%. Since the median prices are generally favored in these analyses we will give more weight to those and since they were down even more than the averages we would conclude that prices are down more like the 30% indicated by those than the still very large near 20% drops seen in the averages. Finally the last metric we look at are the average days on market, which is the measure of how long it takes for a house to sell in the current market. For Windham, NH the average days on market in October of 2014 were 46.06 and the average days on market for October 2015 were 110.00 for a huge 139% increase! The Windham, New Hampshire real estate market is down tremendously since last year. The average prices are down almost 20% and the median prices were down even more at over 30%! The days on market were also up a very significant amount further showing the fall in the market. In summary if you are looking to sell a house in Windham, NH now you should expect to get a lot less for it than you would have gotten last year. You should also expect it to take much longer to sell compared to last year too. With prices down and properties sitting on the market a long time this is a situation where sellers might want to consider taking more of a discount to keep from holding the property for a very long time.